If something can not be missing in a tavern worth are good croquettes. Ham, cod … in a thousand ways and ways, are some of the most demanded delicacies. But it is a dish that also has its history. Its name comes from the French word croquer, which is anonomatopeia of “crunch”. 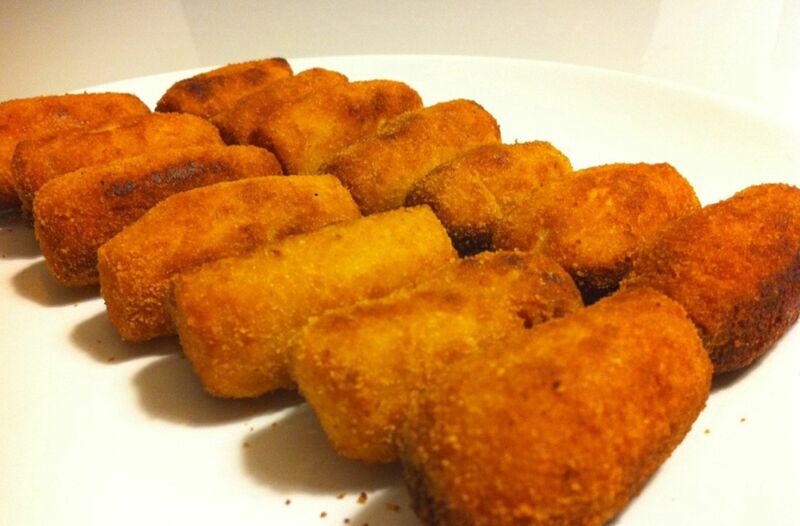 From croquer the name evolved to croquette and finally, it is known as croquette. It seems that the origin of the croquettes is in France, since the base of this dish is the bechamel that was invented by the chef of the Marquis Louis de Béchameil in the 17th century. But there are also some who say that it was simply a copy of what Italian chefs had already invented some time ago. The first reference that there is of a croquettes as we know them is from 1817 by Antonin Carême, a French chef who served a dish of bechamel covered by a thick and crunchy layer at a banquet for the prince of England. He called this croquettes à la royale. Later they became popular among all social classes, but Spain would still take time to arrive. In 1846 they are cited by the great writer Alexandre Dumas, but it is not until 1867 that reference to them appears in Spanish texts, such as “El cocinero española” or “La perfecta cocinera”. And now, as you know his story, you can come to El Anciano Rey to have excellent croquettes, silky, creamy, crispy and with all the flavor. Would you like it?